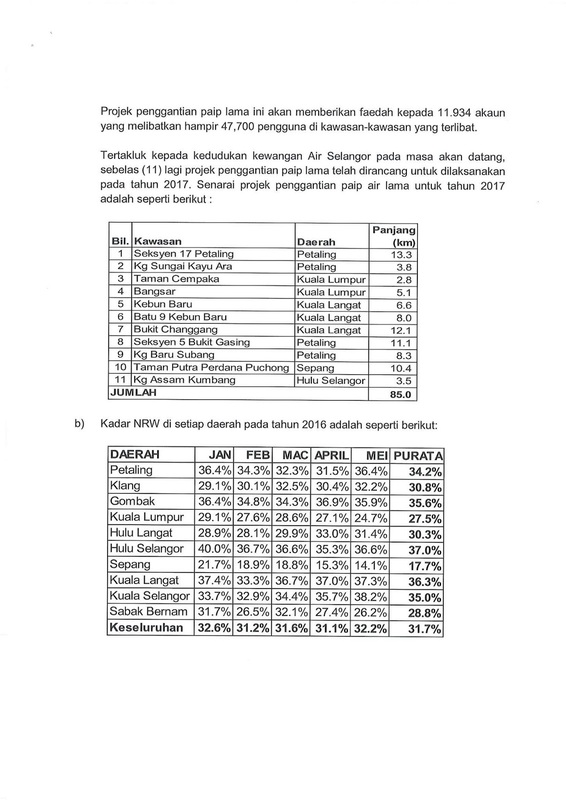 Berikut ialah jawapan bertulis yang dibekalkan kepada saya baru-baru ini terhadap pertanyaan bertulis yang dikemukakan saya dalam sidang DUN pada bulan Ogos 2016 yang lepas. 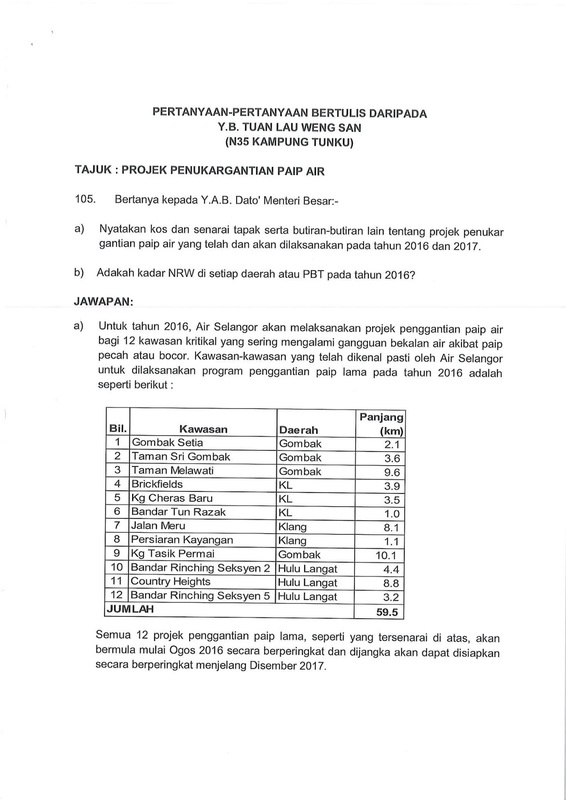 Soalan saya berkaitan dengan projek penukargantian paip air dan kerajaan Selangor menjawab bahawa kepanjangan paip sepanjang 59.5km yang dipecahkan kepada 12 projek berasingan akan mula ditukarganti pada tahun ini dan dijangka siap pada Disember 2017, sementara 11 projek berasingan berkepanjangan 85km (11 projek) telah dirancang untuk bermula pada tahun 2017 juga. Maklumat terperinci adalah seperti berikut. 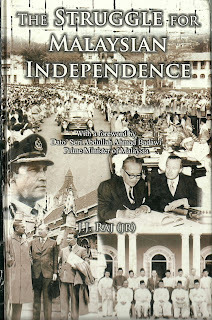 I came across a book accidentally in October 2014, entitled "The Struggle For Malaysian Independence", written by a retired police officer, Dato' J.J. Raj (Jr.). This book was also a personal accounts of a high-ranking PDRM officer serving the force during the early days of Independence and the formation of the Federation of Malaysia. 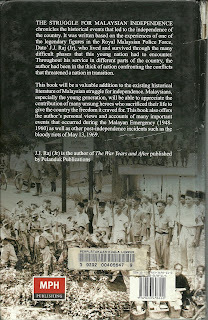 The book was published by MPH in 2007. 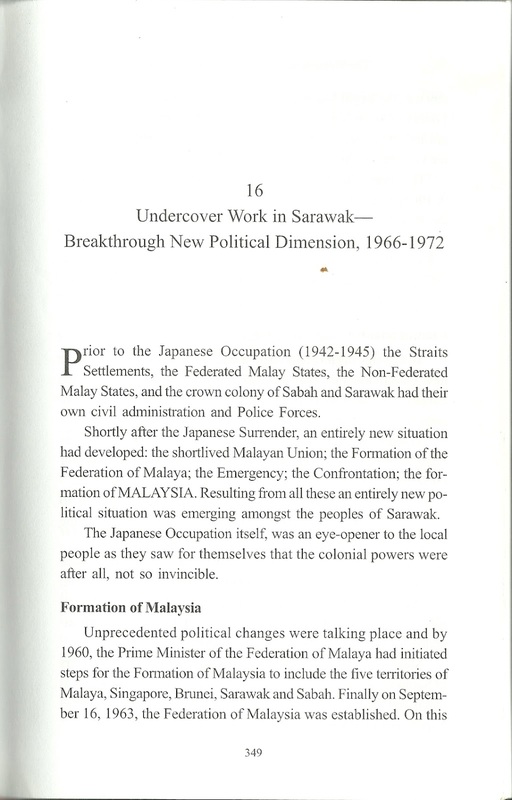 One of the very interesting chapter to me is Chapter 16, which is about his posting as senior police officer in Sarawak from 1966 to 1972. That was also one of the most turbulent times in the history of Malaysia and Sarawak, when the first Sarawak Chief Minister Stephen Kalong Ningkam was removed from his position as Chief Minister in 1966, followed by a series of legal suits, igniting one of the very first constitutional crisis in the history of Malaysia. The cause of this crisis was the deeply entrenched distrust between Stephen Kalong Ningkam and Tunku Abdul Rahman as well as civil servants from Peninsular posted in Sarawak (the author included). 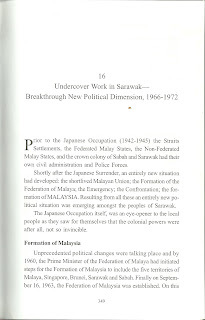 According to the author, the very first agenda after the formation of Malaysia by the then Prime Minister Tunku Abdul Rahman was to localise the civil services of Sarawak and Sabah including and especially the state police services. 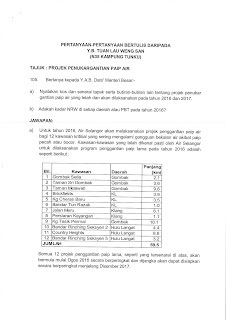 Tunku saw this as an important task as though Stephen was the first local Sarawakian Chief Minister, his entire civil service and administration, ie the state secretary, the state treasurer etc were in the hands of British officers, when these positions should progressively replaced by local Sarawakians. However, according to the author, Stephen Kalong Ningkam refused to do away with the services of British expatriates, three years even after the formation of Malaysia Federation. 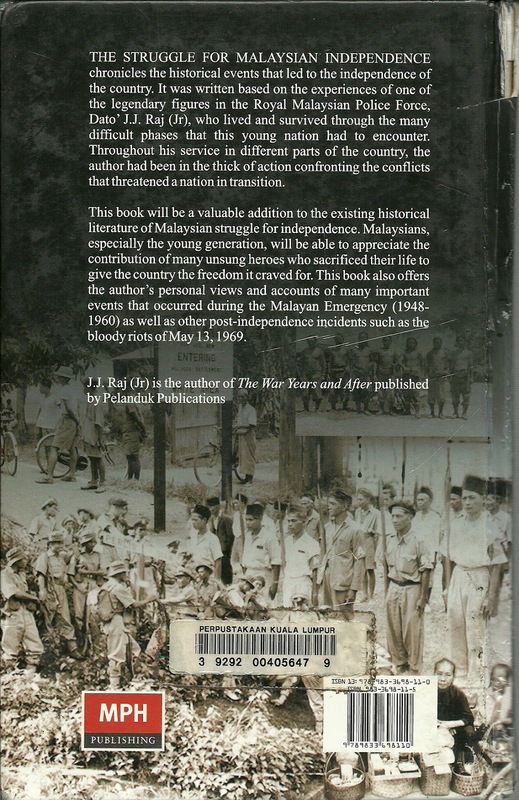 Considering the fact that the book was published in 2007, long before the emergence of the Sarawak for Sarawakians (S4S) movement, I would hold that the views of the author, which was the first hand account of a person who had gone through those early days of the formation of Malaysia, are views that are not distorted to balance or counter the views of S4S. European Commission on Competition lately handed Apple a breathtaking demand for €13 billion (US$14.5 billion) to be paid to Ireland on the grounds that Dublin illegally favoured Apple with a tax regime that amounted toa competition-distorting subsidy. Will Apple have any problem in paying it? Certainly no. Apple has a cash reserve of US$232 billion, of which US$214 billion are kept in foreign accounts. Apple's average profit per month in 2015 was about US$4.45 billion. Why do companies like Apple wants to pay lower tax? Because they are going to reward their workers, employees and contractors better, such as those who worked extremely long hour in Foxconn's assembly plants? Certainly no. So where does the monies go? Maybe it is good to ask Apple how much are they paying their CEOs and their top bosses. I do not go against the business community, I am not a Communist because I believe the business community as well as the capitalists have their roles to play to move the economy forward. But as a global citizen, we must stand up in solidarity to go against them if they are evading their fair share of their taxes while at the same time paying peanuts to their workers and their contractors/workers. In another words, they are exporting poverty and slavery to the people of third world countries and importing huge profit out of exploitation into their own wallets.